Why go out to eat when the eating comes to you? The food trucks of Farragut West Metro Station dotting the plaza outside make a full-fledged food fiesta every Friday in D.C. Racing around the streets of D.C., leaving pedestrians with hunger pangs in their wake, the food trucks of D.C. are a movable market of entirely different genres of food. 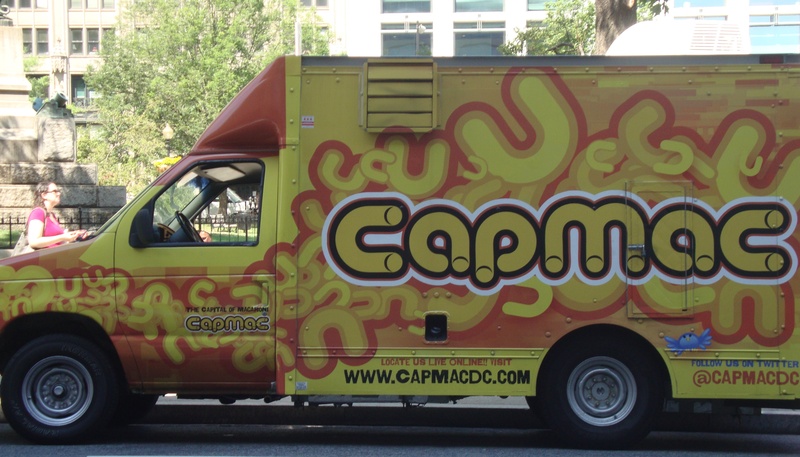 From cupcakes to Indian food to macaroni and cheese ( fave food- Cap Mac), there is a truck for just about every kind of craving. Curbside, queueing pedestrians will find a colorful bazaar of food trucks. 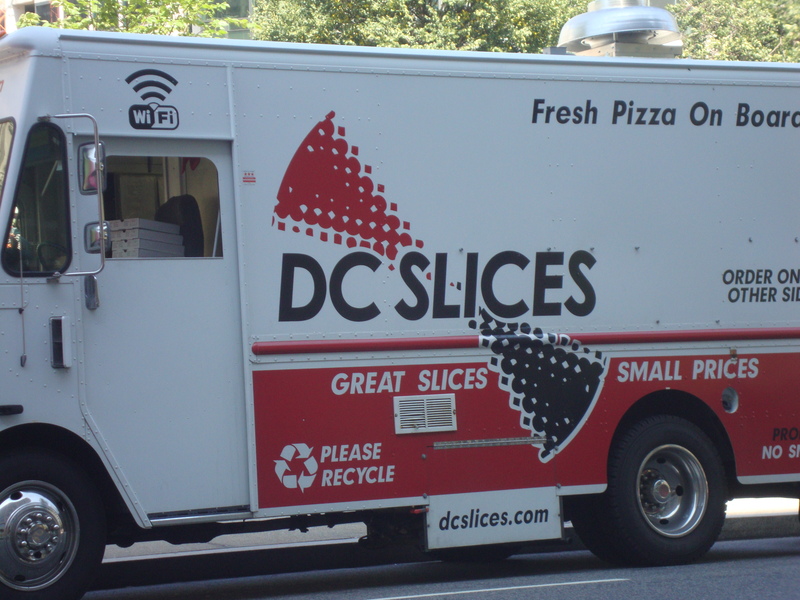 Find great slices at small prices with DC Slices, the mobile pizza truck. Those with dietary restrictions need not fear. 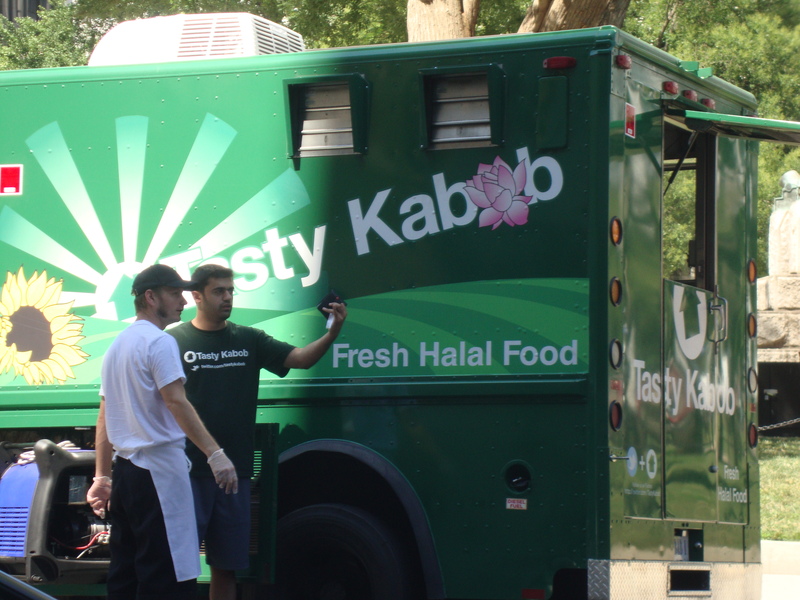 There are some trucks, such as Tasty Kabob, that adhere to certain food rules, such as halal-based restrictions. Don’t forget dessert. Girly, cute, pink, cupcakes, winning food truck Curbside Cupcakes is a girl’s ( and pregnant women in need of a fix) best friend. Talk about excellent door-to- door service. 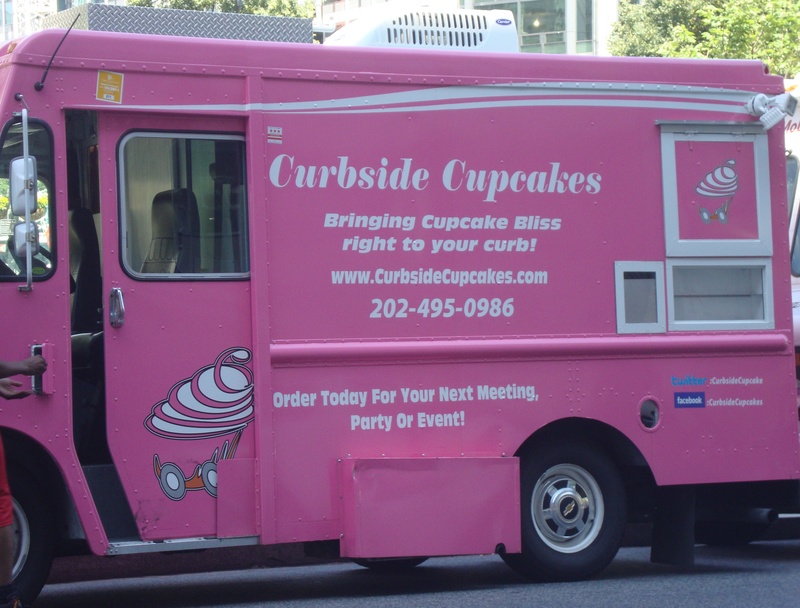 Who needs a boyfriend ( or husband) when this truck will fulfill your mid-day cupcakes cravings? So many trucks, so much more yet to come…!